In archaeology we have the concept of taphonomy. Taphonomy tells us that the ruins of the past looked very different when they were lived in. A castle would have been plastered and painted. Interior walls would be lined, painted and covered in thick drapes (think of poor old Polonius getting stabbed in the arras (always got a laugh in school)). Picture a ruined church with whitewashed walls and fresh golden thatch. We average 5 km of daily walking when surveying historic graveyards. Yesterday the graveyard in Drucliffe was bigger than usual and we covered 7.5 km. That is 7.5km of walking beneath Benbulben -when every time you look up from the ground the beauty of Co. Sligo is there in its intriguing glory. 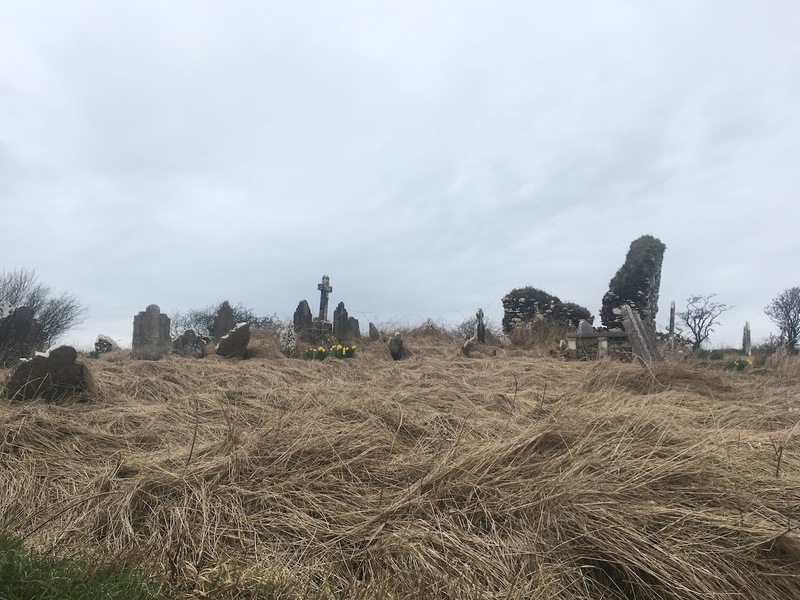 We've done graveyard projects all over Ireland and from Dorset to Aberdeen and Benbulben is one of the most striking locations around.